There are plenty of methods to use when it comes to link building and ranking higher in the search results. One of the most popular lately has been guest blogging. Since everything has different thoughts on the concept, I thought it would be a good idea to do a short interview with Danny Drew of SEOContentNetwork.com. The interview consists of into about their network, trends in present day SEO and how they have been able to grow and adapt their business with the most recent changes Google has been putting in place. 1.) 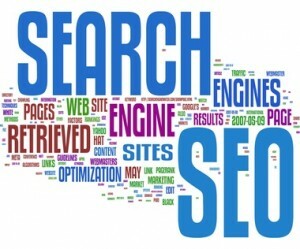 Can you please tell us about your history in PPC and what the SEO Content Network is all about? SEO Content Network was created by one Search Engine Optimization specialist and one PPC specialist to help increase PPC conversions as well as increase natural SEO traffic. SEO Content Network is a network of thousands of sites, that follows Google’s rules on Syndication, which helps increase the value of the URL’s submitted to it. In simple terms its like taking your sites pages and having them be press releases to other sites. 2.) How is SEO Content Network any different from the other link building and content generation services out there? As previously stated we are similar to the syndication that occurs with a press release, but unlike a press release you don’t have to create New Content, rather we take the content from your page quote it, and then give attribution. 3.) We know Google wiped out a ton of the competition over the years and blacklisted millions of sites. Why are your sites still around and what guidelines of Google are you following to continually grow your business and value for your customers. The reason our sites are around still is because we follow Googles rules of NoFollow for paid links, so all links pointed at non-authority sites are “NoFollow”. This allows our customers to use our network to use Authority Sites to link back to their own site and then use our network to link to these authority sites. 4.) What is the future for link building and guest blogging? The future of link building will continue, for a while anyway. But as Google just came out and said they are now viewing the sharing of Content as an important metric in how they rank sites. So guest blogging and link building needs to be tied to shared content. The great thing about SEO Content Network is that we already do this, following Googles guidelines, and if you use your Authority Accounts to build the first tier of back links to your pages and then use SEO Content Network to build back links to your authority sites you will be following Google TOS and increasing the value of your site in the search engines. 5.) How important is the anchor text of your backlinks to your site? How often should you keep them generic, specific or use your url for linking? Matt Cutts has said that Googles algorithm is able to crawl a page and understand what keywords are specific to that page. Keywords are important in so much as they can help the algorithm rank your pages for those keywords. Having said that, you should be creating 1-3 daily blog posts (with videos) on your site, these daily blog posts should all use different keywords and you should link them to home/money pages on your site. You want a variety of related keywords so that you are not only ranking for short tail but your also ranking the long tail keywords. 6.) Everyone talks about Google, but what about Bing and Google… how can we rank higher in these search engines too? By using authority sites to link to the pages on your site, you are better able to rank on Bing/Yahoo as their algorithms use FaceBook as a factor of ranking. However, if you can rank on Google you will most likely be ranking on Bing/Yahoo. 7.) What advice do you have for someone that is focusing their efforts on building a new site and wants to focus on ranking organically to get traffic to their site? On each new blog post link to the home/money page using in an indirect related keyword. Create a video summary of each blog post. Submit it on YouTube first, and then embed it into the blog post. Use SEO Content Network to build back links to your authority sites. There are more thing that can be done, but this is a good start. Special thanks for Danny for taking the time to answer these questions and tell us about their network. As with all seo and link building solutions, always be sure to know how your content and links are being created. It’s always best to have your content written by your team or a trusted partner, the same applies for where and how you build backlinks back to your sites.